Turns out all we have to do is disable the PS3’s network connection. Without there being one, the game doesn’t check if the EA servers are operational and lets us start the single player mode just fine. I’ve read that some users physically took their network cable out of their consoles, which seemed to do the trick. I’m more of a “sit in a chair and never get up” kind of guy, so I opted instead to disable it in the PS3 settings. No matter if you’re using a wired or wireless connection, the procedure is the same. Head over to the far left and choose Settings – Network Settings. The second option from the top is Internet Connection. 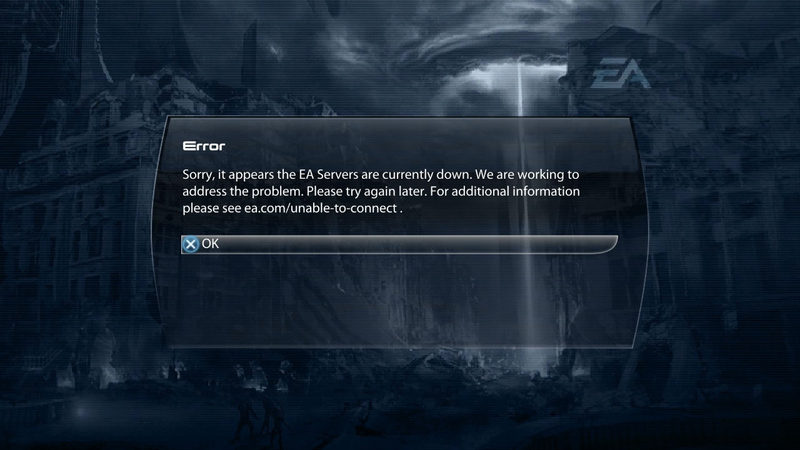 Set that to Disabled for the duration of ME3. When you’re done, set it back to Enabled and everything is as it always was.